The 30-year-old funny man hails from Durban. A natural storyteller, his humour is family friendly, with no vulgarity. Noted for his hilarious punchlines and sharp, observational humour, Williams was drafted in the National Savanna Comics Choice Awards for 2017, and proved to be a stand out performer on the night. 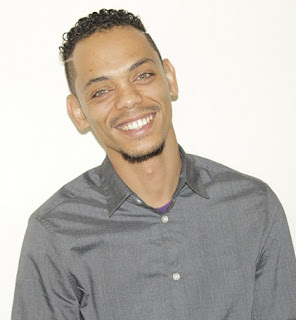 His one of the most booked comedians in Durban today, having recently shared the stage with The Goliath and Goliath Crew, Marc Lottering, Mark Banks and Carvin H Goldstone to name just a few. A former finance wizard, he left the corporate world to pursue his career in entertainment. He’s broken down barriers and built bridges over obstacles deemed “impossible” and he’s already become a household name. Since going full time into standup comedy, Daryl has performed on some of biggest comedy platforms in SA, including the Goliath Comedy Club in Melrose Johannesburg. He has toured Swaziland, Mozambique and toured as a guest act on the MSC Sinfonia cruise ship. Too Coloured? is described as a side-splitting showcase of multi-cultural humour that can be enjoyed by anybody. It poses a direct question which relates to Williams’ amazing ability to relate to any race, age and culture - as he has done so all through South Africa in his career. “My inspiration is always people based. There is a clear message for all South Africans that is relevant to our current affairs. This show provides comic relief through a unique array of multicultural humour,” he explains. Dubbed as 'the next Trevor Noah', Williams has a relatable story for everybody, his audience is always wanting more! “You can expect to hear about the struggles of those who grew up with no medical aid in the past and the funny concoctions that were used to replace modern medicine. You’ll hear a bit of current observational, stereotypical humour - which does not offend but rather creates a funny outlook at things, where we can all laugh at ourselves and our sometimes silly behaviour,” he adds. Too Coloured? comes hot off the heels of Daryl’s #HomeComing tour which catapulted him onto the local and international comedy scene. Too Coloured? runs from November 3 to 5 at The Bat Centre with shows on November 3 and 4 at 20h00 and November 5 at 15h00. Tickets R100 booked via www.quicket.co.za or R120 at the door. Block bookings for 10 or more: R80 each.